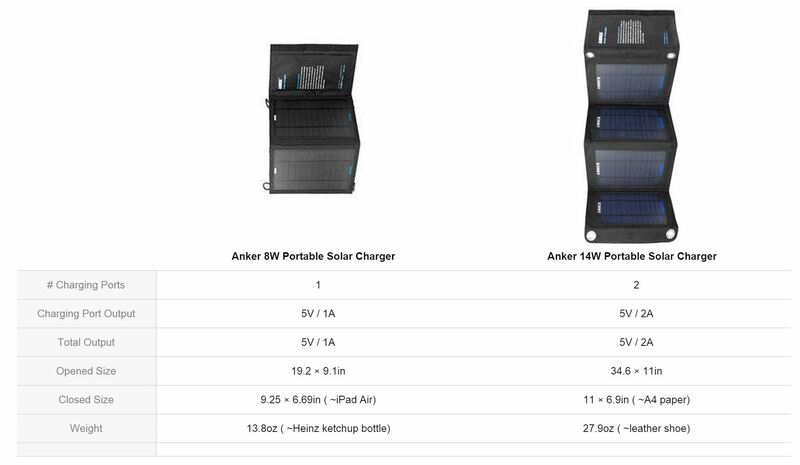 Anker produces two high-quality USB solar chargers with the same basic design but differing solar conversion rates (14 watts compared to 8 watts). Although you can use them for any purpose, they’re specifically designed for campers and hikers who want to keep their electronics fully charged, so they include very useful extra features such as tie-down grommets and a water-resistant design. Note that, unlike some solar chargers, the Anker chargers do not include a built-in battery. This significantly extends their life (batteries last up to about 5 years; the solar panels can last 20 years) and makes them more efficient (charging a device directly eliminates the roughly 20% power conversion penalty a battery would have). If you want a battery, you can use any battery you want with whatever capacity you prefer from brands such as Anker, Jackery, EasyAcc, or NewTrent. 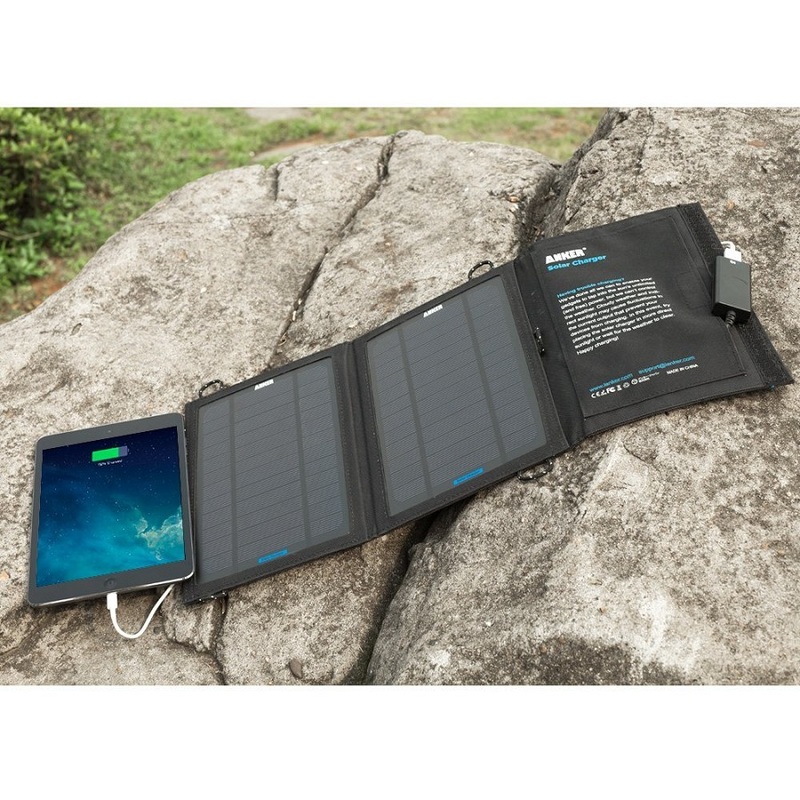 Offering enough charging power to keep an iPad 3 going continuously during the day, the 14W portable solar charger is ideal for anyone spending long periods of time outdoors with their table – or, with its multiple charging ports, to provide power for the entire family’s mobile phones. Provides up to 2 amps of charging power, which is enough to fully charge modern devices (such as the iPad 3) at full speed. Alternatively, you can use the dual output to charge two devices simultaneously at 1 amp each, which is traditional USB charging speed. 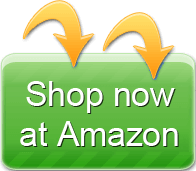 You do need to provide your own charging cables – any USB charging cables will work. When closed, the charger is only 11.0 inches tall by 6.9 inches wide by 1.0 inch thick – a bit smaller than a stack of letter paper or about the size of a large-screen tablet. 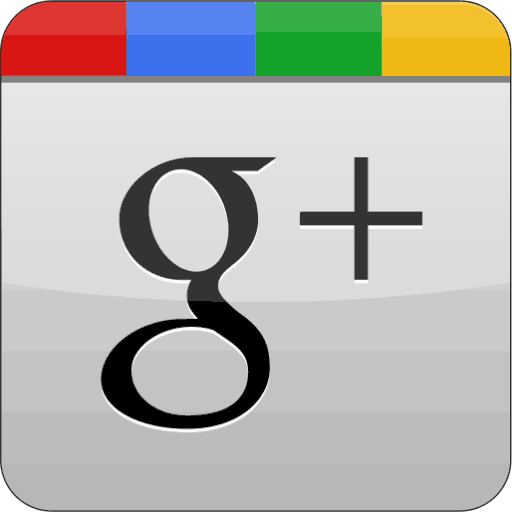 When open, it’s 34.6 inches long (about three feet) by 11.0 inches wide by about 0.25 inches thick. It weighs 27.9 ounces (1.75 pounds). The panels are up to 18% efficient – the highest possible with solar – and are covered in rugged PET plastic to ensure long life (10 to 20 years under normal operation). The panels are held together using strong water-resistant polyester canvas, and the canvas has four grommets (eyelets) to allow you to easily tie down the solar panels to your tent, affix them to your backpack, or attach them other objects. Although seemingly a minor feature, the grommets make this excellent solar charger much more convenient. With some rope or zip ties, you can quickly attach this charger anywhere – allowing you to find that perfect location which gets the most sun. 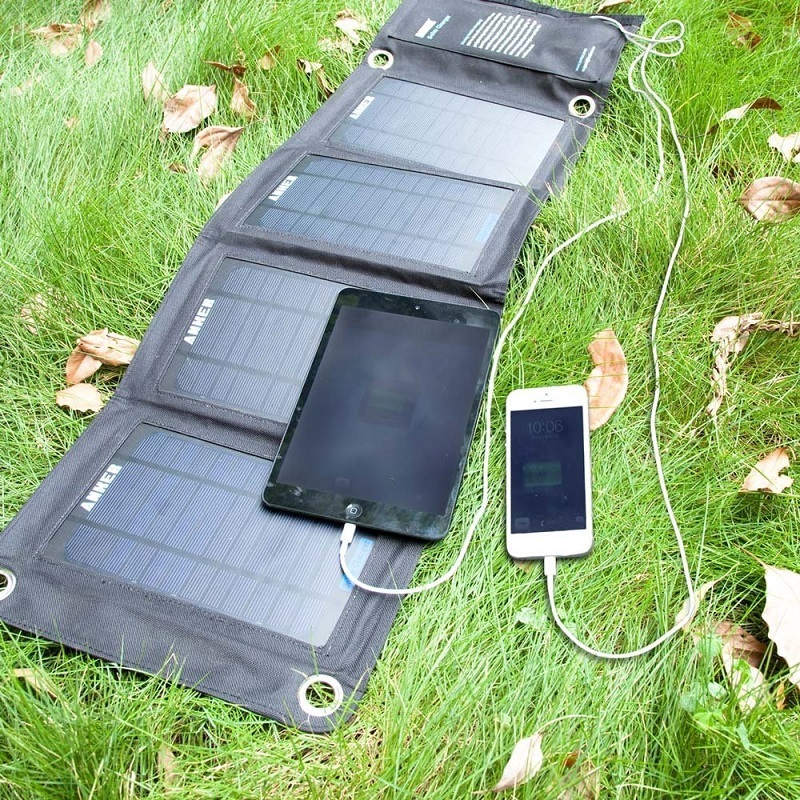 Base camping: probably the most common use, many campers will leave the solar charger in direct sunlight at their camp along with a device (such as a tablet or a portable USB battery). When they return from a hike, the device will be charged and ready for use that evening. Long-distance hiking and bicycle touring: the adventurer will attach the open solar charger to their backpack or bicycle as they move, soaking up solar energy. How well this works depends on the terrain, but even beneath a non-tropical forest on a cloudy day, this solar panel will generate some electricity. 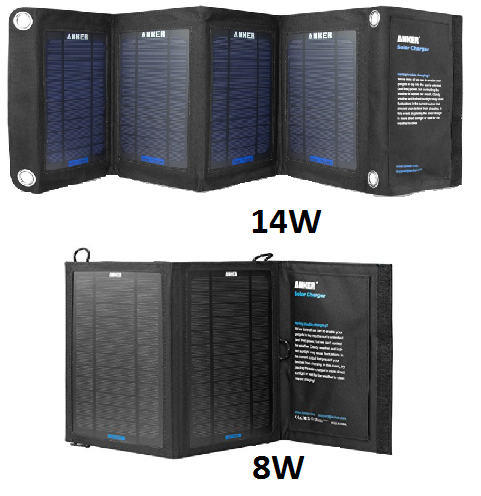 Emergency kits & other home use: although designed to be portable, the solar panels can be placed outside of your home to create an immediate small cost savings over charging your devices from wall power. Although they’ll never pay for themselves this way, you can use them like this to charge all your USB devices during an emergency that disables your home power. 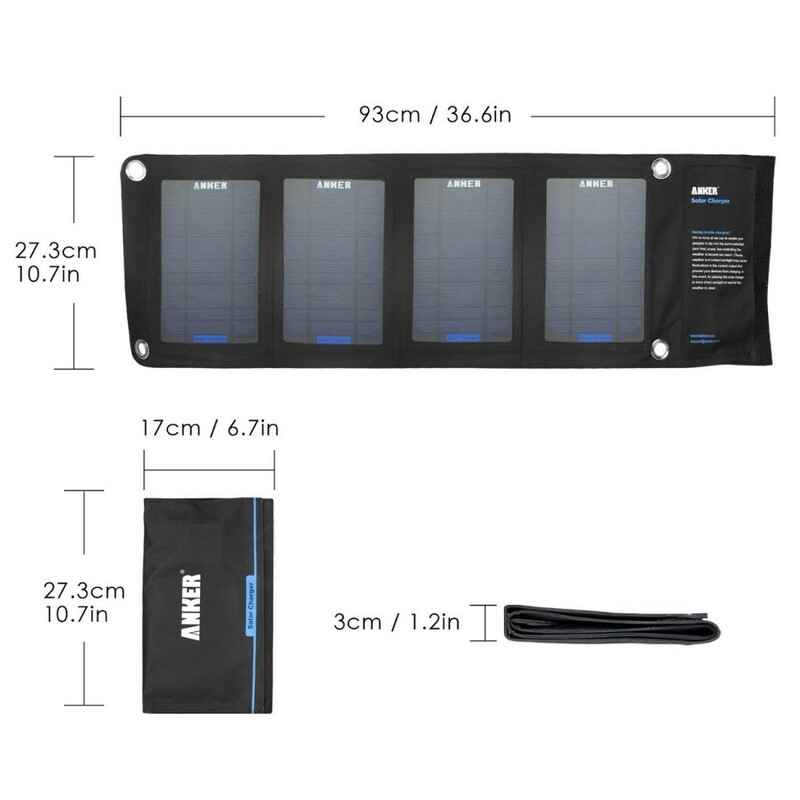 Of course, the best thing about these portable solar panels is that you can use them for all of the above situations – take them with you for the family base camp, use them yourself on your weekend hike, and keep them at home the rest of the time in case of emergency. Several of these cons can be removed if you’re prepared to purchase additional equipment, such as a USB power meter which will help you place the charger in the optimal location or a separate USB battery you can leave with the charger at the camp site during the day to store that solar energy. No. The solar charger is specifically designed to only output 5 volts (the rate required for USB). There are no laptops or non-tablet netbooks which accept inputs as low as 5 volts, so the charger cannot charge a laptop or anything besides devices designed to be charged using USB. In most cases, yes – but with some loss of efficiency. How much efficiency you’ll lose depends on exactly how the window is designed. Windows designed to block certain wavelengths (such as windows protecting against UV radiation) may look perfectly normal to you but still block the part of the light spectrum required by the charger. You can use a USB power meter to determine how much energy a window is blocking when your solar panels are in operation. Not really. Although it’s technically possible to connect two or more chargers in sequence, the USB plugs are only designed to provide power within certain limited parameters. If you need more power than can be provided by a single portable solar panel, you will want to look into heavier-duty solar panels. The 8-watt solar charger only has two panels and one USB connection, making it smaller and more lightweight than the 14-watt version. This also means that it only provides about half as much power in equivalent sunlight – however, it’s smaller size makes it more convenient for attaching to moving objects such as a hiking backpack. Provides up to 1 amp of charging power, which is the amount provided by a standard USB charger. This is enough to charge any USB device, but it will not charge recent smartphones at their fastest speed, and it’s not enough to charge a large screen tablet faster than the battery drains during active use – that means, you’ll have to turn your tablet off to fully recharge its battery. You must provide your own USB charging cables. When closed, the charger is only 9.3 inches tall by 6.7 inches wide by about 0.5 inches thick – about the size of a thin hardcover book. When open, its two panels are a total of 19.2 inches tall (1.5 feet) by 9.2 inches wide by about 0.25 inches thick. It weighs 13.8 ounces – a bit less than a pound. It uses the same 18% efficient panels as the 14-watt version, so it has the same estimated 10 to 20 years estimated lifetime. These panels are also held together using the same canvas, but instead of rugged grommets, weaker fabric loops are provided as anchor points – this makes some sense as these two panels weigh about half as much as the four panels of the 14-watt version. Replacing the grommets with loops also significantly reduces the amount of polyester canvas material used, allowing the charger to be more compact when packed. My device says “not charging” when connected to the solar charger. Some devices, particularly Apple devices, say “not charging” when the device isn’t being charged at full speed. This can happen if you use the 8-watt (1-amp) charger with a recent device which expects to be charged at 2 amps or because the solar panels aren’t generating enough power to charge your device at the regular speed. If possible, attempt to put the charger in a more sunny area. The warning should disapear when your device is being charged at full speed. It discharges my device rather than charging it. It takes a certain amount of energy to overcome the electrical resistance of your battery. If there isn’t enough sunlight to provide that energy, your device will not charge. However, your device should not lose energy any faster than it would under regular circumstances, so the solar panels do not actually discharge your device. It doesn’t charge my device. Almost all devices are supported by the solar charger – however, there are a few USB devices which do not support being charged by anything besides a computer or a manufacturer-authorized charger. If you can charge your device from a generic portable USB battery, the solar charger will work. If you do have a device which doesn’t charge, you can try using a charge-only adapter – these sometimes allow unsupported devices to use portable USB batteries and USB solar chargers. 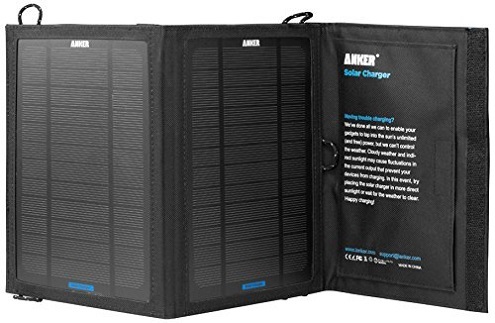 Almost no one complains about the charger’s build quality or other physical features, perhaps indicating that this is a well-designed portable solar charger. The most obvious add-on for the solar charge is a portable USB battery bank, such as those made by Anker, New Trent, EasyAcc, and others. This will allow you to leave the solar charger at your base camp during the day while you take your cell phones and tablets with you hiking. When you return to camp, the portable battery will be charged and you can use it to recharge your devices. 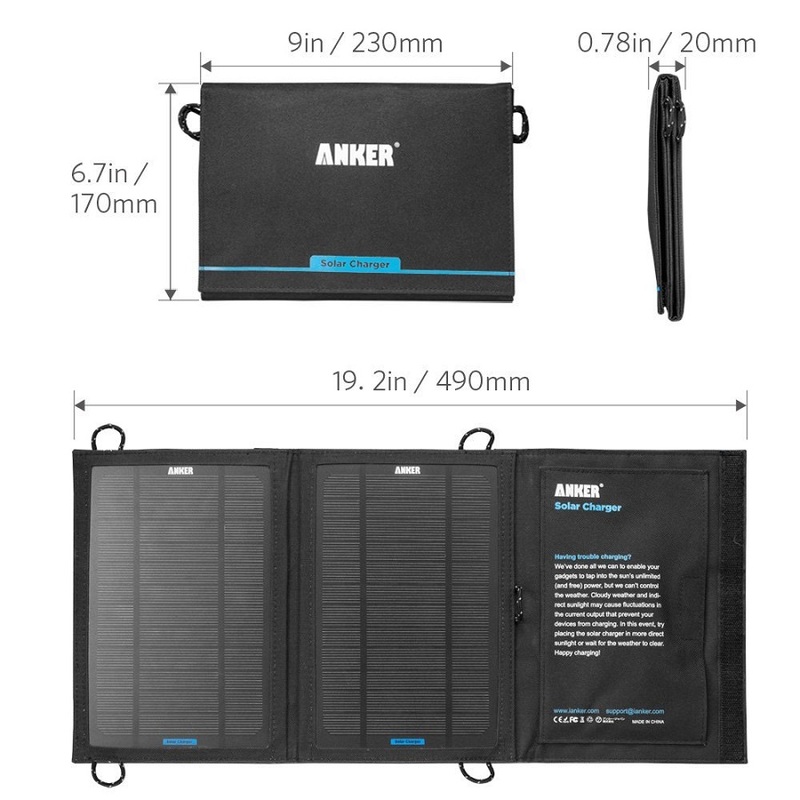 The 8W solar charger can reasonably charge an 8,000 milli-amp hour (mAh) battery in one day and the 14W solar charger can charge a 16,000 mAh battery. If you’re out camping or preparing for an emergency, a portable battery with a built-in flashlight may be especially useful. A USB power meter will help you determine how effective the solar panels are, which can help you place them in the most effective spot at a campsite or home. It will be especially useful if you plan to place the panels behind a window – allowing you to determine how much solar energy the window blocks. A cheap USB extension cable will let you put your device further away from your solar charger, although it may slightly reduce the effectiveness of the power transfer. The extension cable can be quite useful, as most devices (phones, tablets, and portable batteries) should not be exposed to hot direct sunlight. The plastic paneling is ridged and quite strong against blunt-force shocks. However, the transparent plastic covering over the solar panels does scratch, and every scratch will make the solar panels a little less efficient, so you may want to keep the solar panels in a clean plastic bag. Probably not. Larger solar panels designed specifically for RVs will provide a better price-to-energy ratio and may allow you to charge higher-energy devices such as laptops. Also available for cases where space isn’t such a concern are portable wind generators for RVs that can provide electricity even at night if you’re in a windy area. This type of solar panel will slowly decrease in efficiency over about 20 years of constant use, although the polyester fabric will probably rot away long before 20 years if exposed to constant sun. The USB cord connections will also likely corrode after too much exposure to moisture, although they can be replaced by anyone with a little electrical expertise. Both the 8-watt and 14-watt portable solar chargers are a dream come true for those who enjoy the both the outdoors and modern technology, or for those who want to be prepared for a power-loss emergency. However, only the 14-watt charge provides the level of power required by current-generation smartphones and tablets, so anyone looking to the future will likely want to pay a little extra for that model.